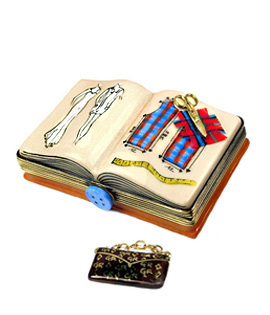 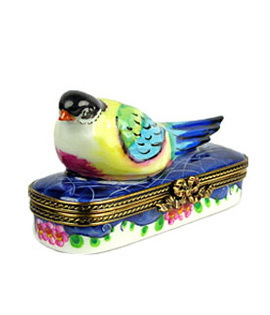 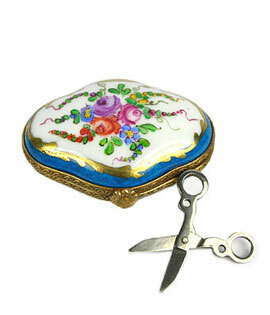 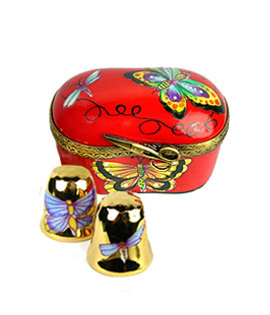 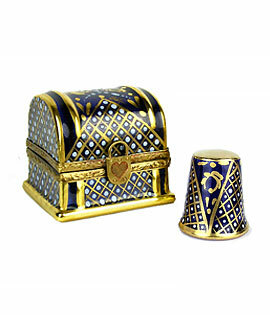 Our sewing and knitting theme Limoges box collection has the perfect gift or memento for anyone who enjoys sewing, knitting, or other needlework. 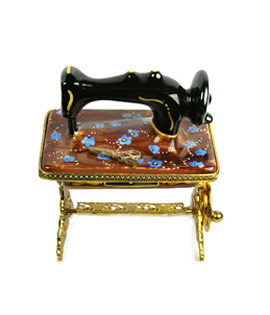 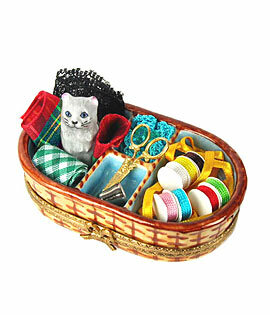 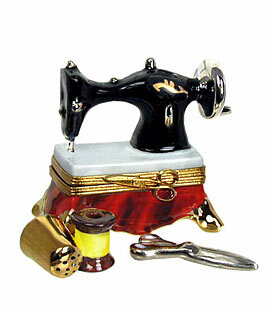 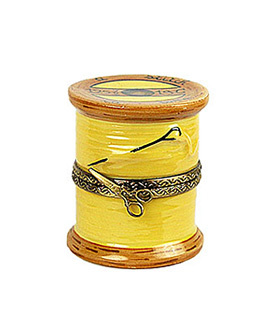 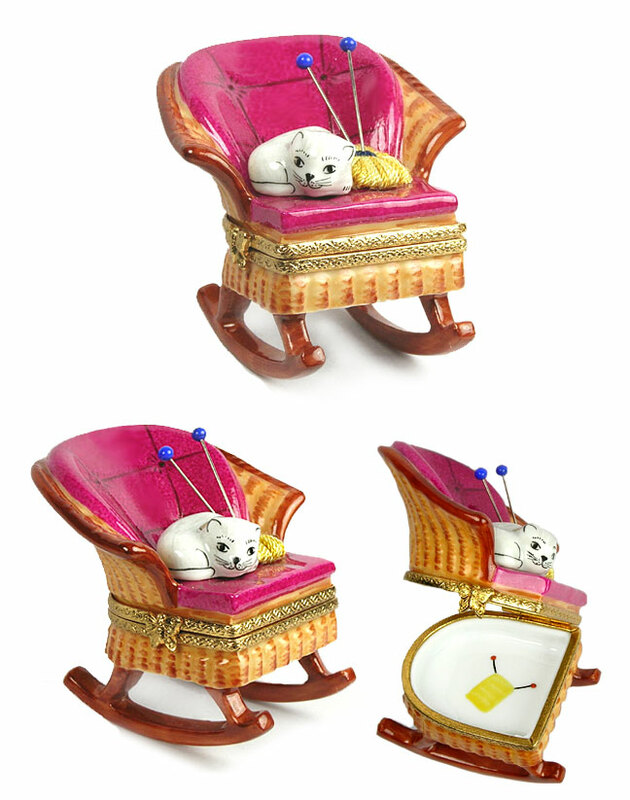 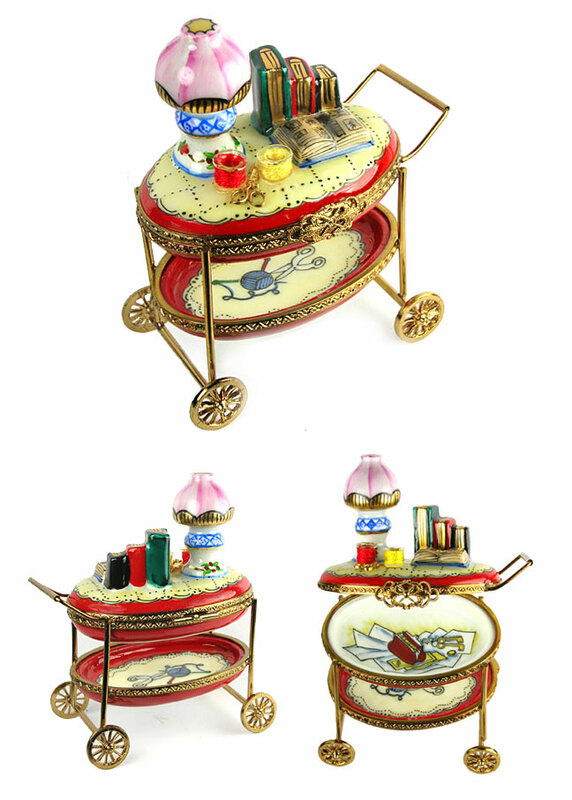 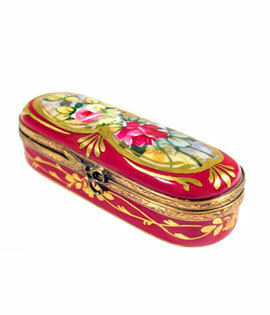 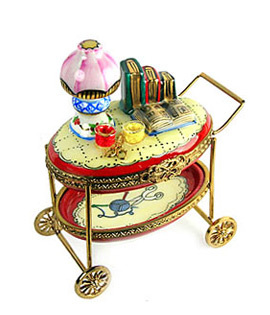 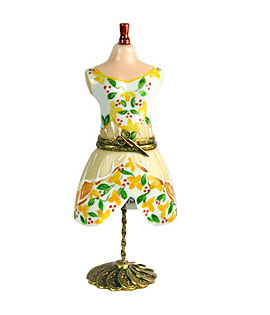 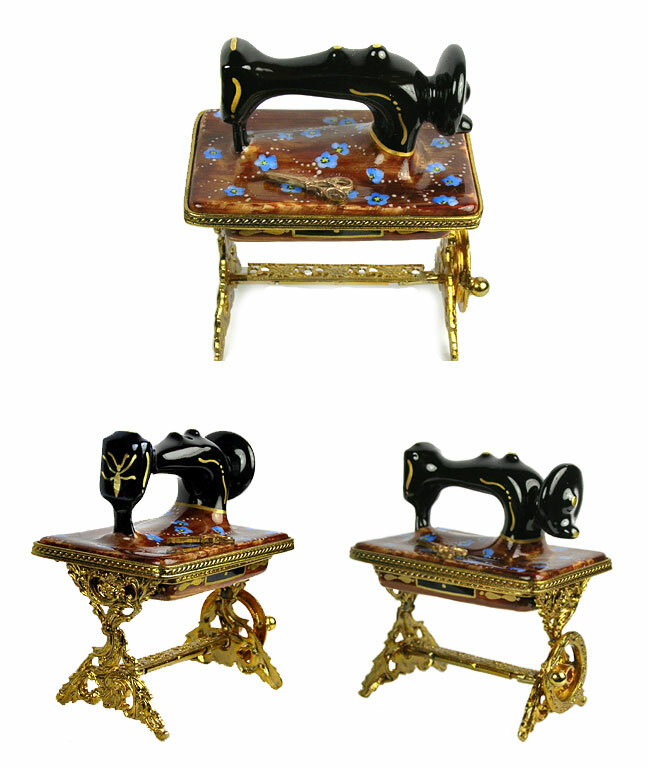 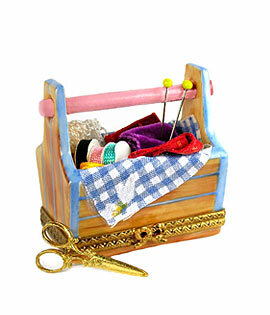 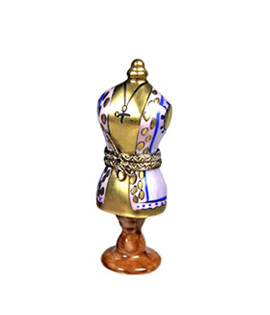 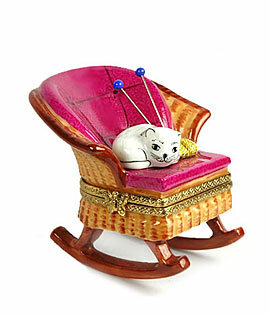 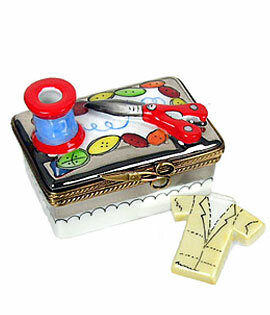 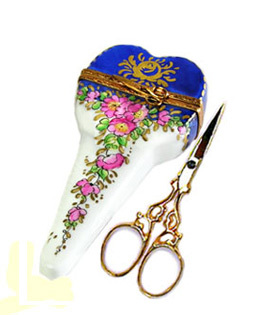 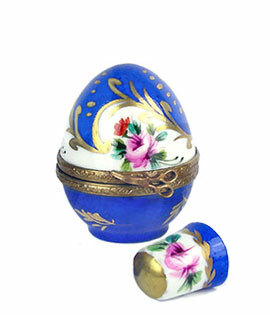 You will find Limoges box sewing machines, thimbles, sewing baskets, thread, yarn, and more! 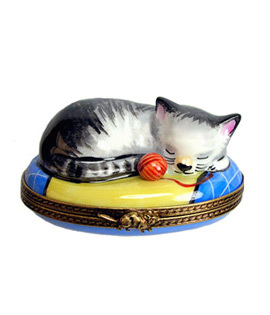 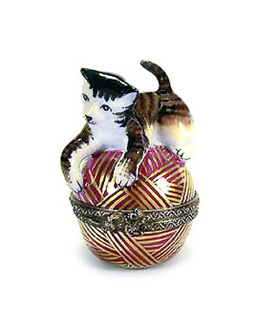 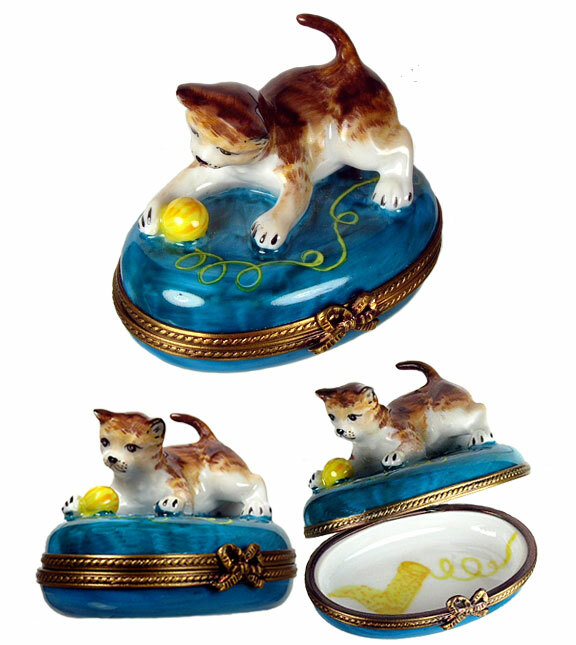 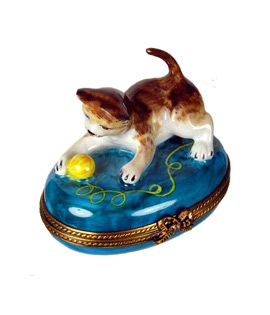 Notice that many of the Limoges boxes also feature cats doing what cats love to do when they find a ball of yarn or a cozy sewing basket!